So Chlea was eliminated from last week. Just so you know. At the start of the show, Chris H and Mike had a little argument as Chris H find that Mike was disrespecting him by shouting certain words that angered Chris H, thus, this made most of the contestants feeling that Chris H is always there to create drama. But after talking to Cory (AWWW I LOVE HIM), he sort of like talked the sense out of Chris H and then, he hold a house meeting with all the contestants, and some of them understood Chris H a little better. The contestants have to do a runway fashion show, and thats not it. On the runway, there's a spinning platform, where the contestants will have to walk and strut their stuff. Poor Nina, she hurt her ankle during casting and she was so afraid of doing the runway challenge. Thinking that if she did not participate in the challenge she might get sent home, or even if she did and she hurt her ankle even more, she would also get sent home because she's worried about her health. That being said, she still did the challenge and manage to score a 7 for her challenge score. The best 4 (2 males and 2 females) that stood out was Phil, Chris H, Jourdan and Renee. Hahaha! Renee was super jealous of Jourdan because from the start of this competition, she had already see Jourdan as a threat and also a strong competitor. The winner of the challenge was Jourdan, who manage to score a perfect 10 for the challenge. Worst walker of the bunch was Alexandra, Mike and Jeremy, they scored a 6 for the challenge. 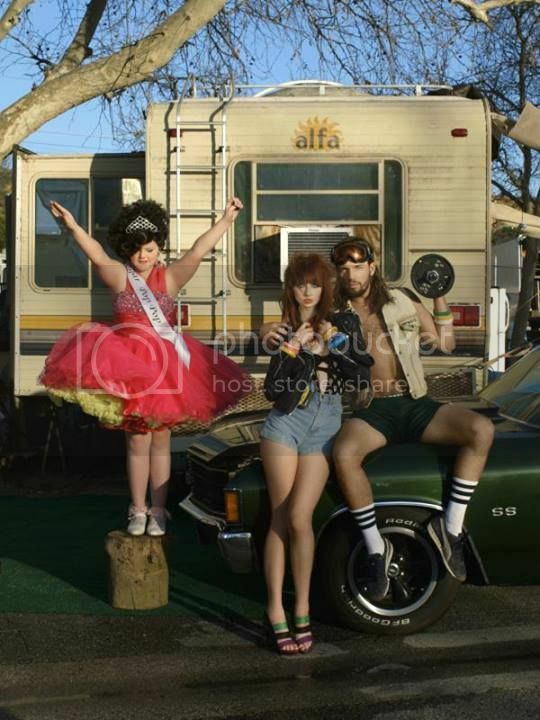 Where the theme is "Trailer Park Chic", contestants are allowed to choose who they want to partner with for the photoshoot based on the ranking of their photos last week. Here are the ranking for their photos. Here's the comeback episode 2. NOW FOR YOUR DAILY DOSE OF AMERICA'S NEXT TOP MODEL!